Abu Dhabi: The weather will be partly cloudy over the sea and northern areas of the UAE on Sunday, with a probability of light rain at night. 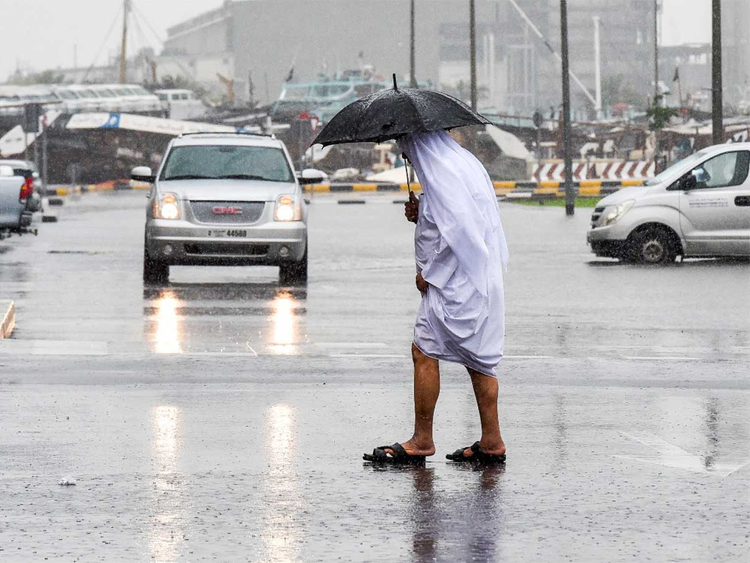 The National Centre of Meteorology (NCM) reported that some areas will be affected by an extension of the Red Sea surface trough, with humid air mass coming from the southeast. As a result, the deepening of the upper air trough will lead to a cold air mass causing unstable weather conditions and an increase in the amount of clouds by Monday. Rainfall over scattered areas is expected to intensify by Tuesday with possibility of thunder, especially over the northern and eastern areas. The amount of clouds will decrease gradually by Tuesday night and Wednesday morning. Southeasterly winds are also expected to blow dust and sand over exposed areas, with significant decrease in temperatures starting from west and extending toward rest of the areas of the country.